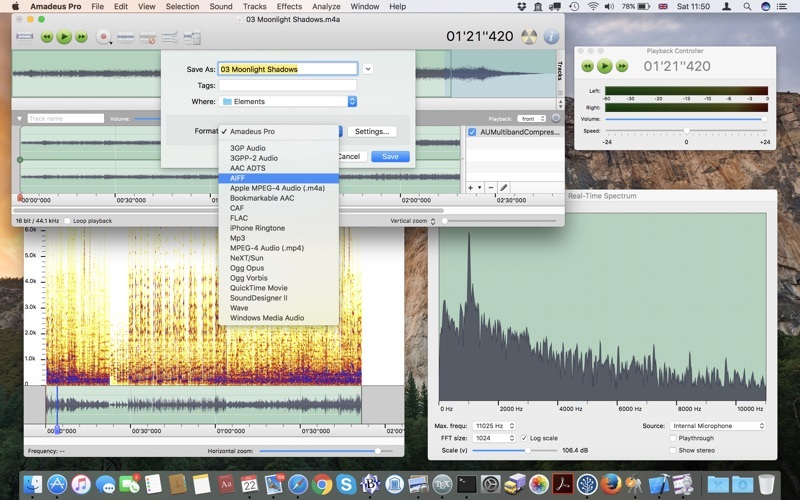 Use your Mac for any audio-related task, such as live audio recording, creating iPhone ringtones, digitizing tapes and records, converting between a variety of sound formats (including Mp3, MPEG-4 AAC, AIFF, WAVE, WMA, CAF, FLAC, Ogg Vorbis), remastering your iTunes music library, record internet streams, etc. 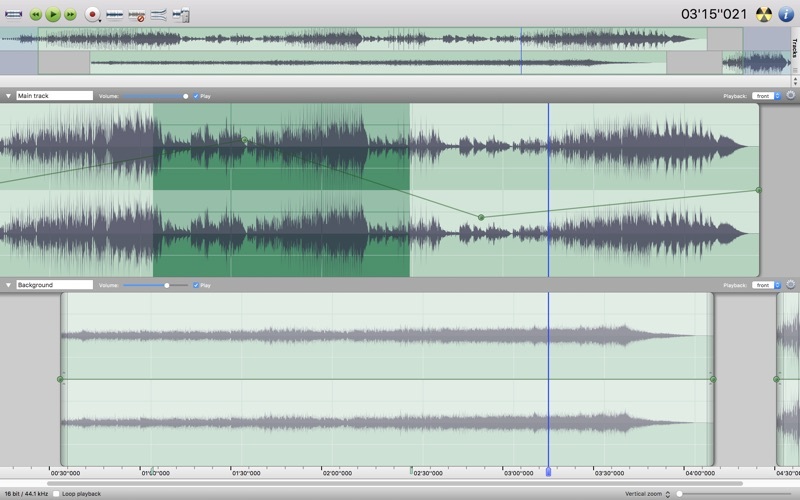 Thanks to its outstanding direct-to-disk abilities and waveform caching, edits on arbitrarily large sounds are performed at lightning speed with this fully featured multi-track editor. The handling of large sounds is furthermore facilitated by the extensive support of markers. 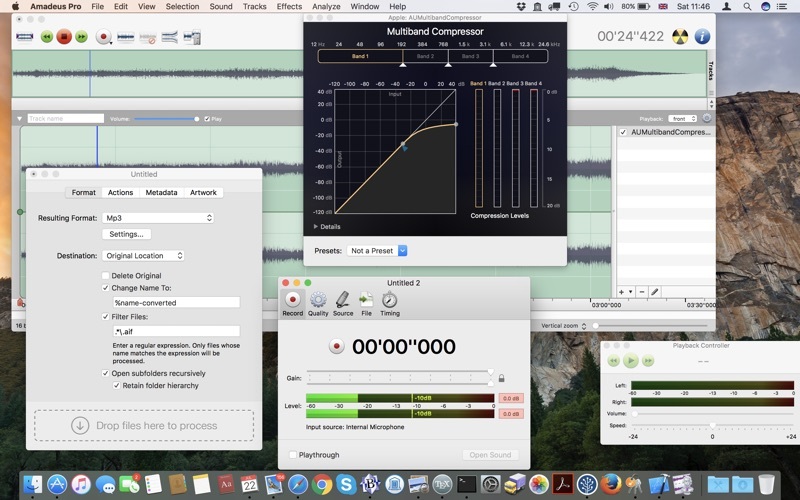 While Amadeus Pro features a number of built-in audio effects (equalizer, speed and pitch change, echo, etc), its abilities can be extended arbitrarily through the support of Audio Units and VST plug-ins. Check out the demo version on our website!